What Is The Main Process Of The Die Cutting Machine? The die-cutting process is the most commonly used process for packaging printed matter. It is a combination of die-cutting knives according to the design requirements of the product to form a die-cutting plate. Under the action of pressure, the printed matter or other ring-shaped blanks are rolled into the desired shape or The forming process of the cut. The indentation process utilizes a crimping knife or a crimping die to press a line mark on the sheet by the action of pressure, or to bend and form the sheet at a predetermined position by a rolling wheel. 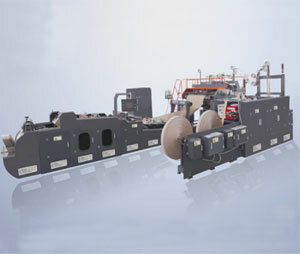 Usually, the die-cutting and indentation process is a process of simultaneously performing die-cutting and indentation processing on an Automatic Lead Edge Feeding Die-Cutting Machine by combining a die cutter and a crimping cutter in the same template, which is simply referred to as die cutting. Process The main process of die-cutting indentation is: upper plate → adjust pressure → determine the rule → paste substrate auxiliary material → test die-cutting → formal die-cutting indentation → stripping → finished product winding or cutting into pieces → points package. We also have packaging equipment such as Double Servo Single Nail Box Machine available, please contact us.